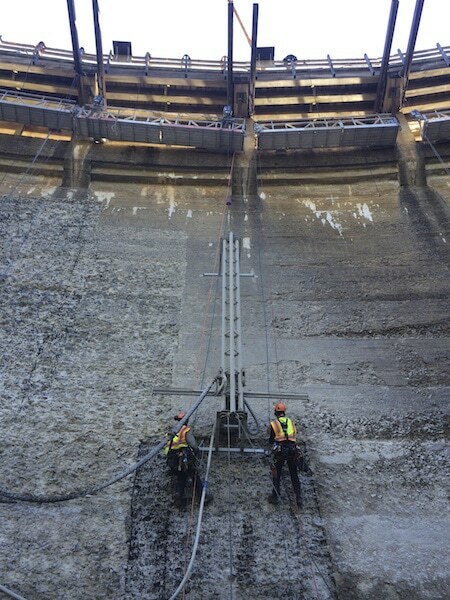 Midwest Mobile Waterjet recently completed a challenging hydro-demolition project on the Brighton Dam near Baltimore Maryland. 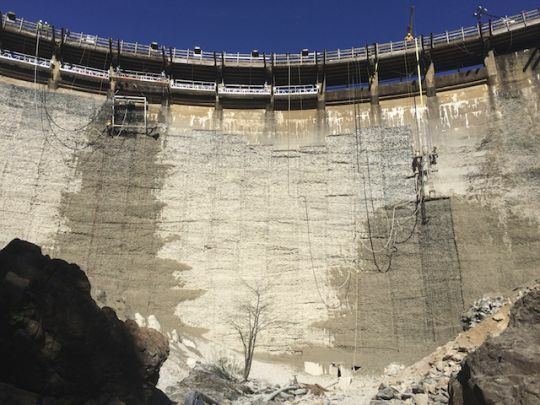 The project required hydro demolition of approximate 16,000 square feet of shotcrete, over a concrete base on the spillway of the Brighton Dam. 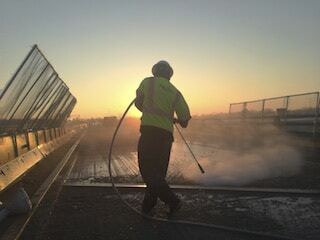 Do to the varied thickness of the shotcrete and the softer compressive strength of the base slab this removal proved to be very challenging. However, no challenge is too great for MMW and we were able to design a system and process that satisfied the specification and was approved by the project engineers. The project also required strict waste water treatment monitoring and disposal which again MMW was able to perform admirably. 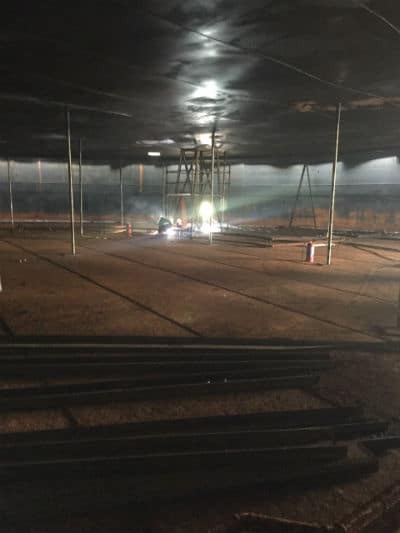 Midwest Mobile Waterjet (MMW) recently successfully completed a 300,000 million steel storage tank demolition at a papermill in Florida. 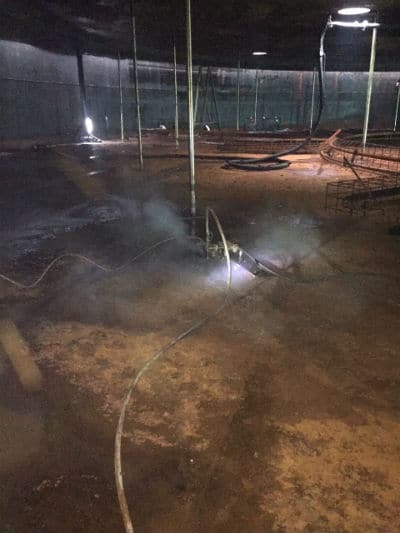 The tank previously contained white liquor and was located in a turpentine handling area of the plant so a strict “Cold Cutting” requirement was in place. 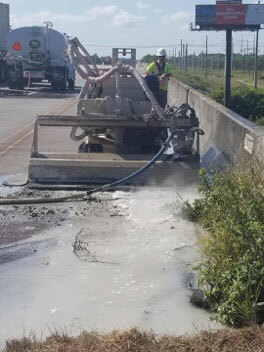 MMW utilized one of its portable 50,000 psi abrasive waterjet cutting system to successfully perform the work and cut the tank into pieces small enough for the crane to safely lift out of the area. 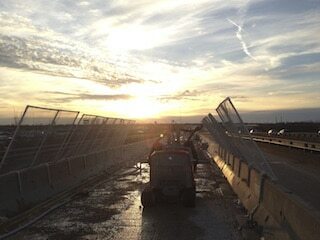 Midwest Mobile Waterjet recently completed a hydro demolition bridge project near Port St Lucie Florida. 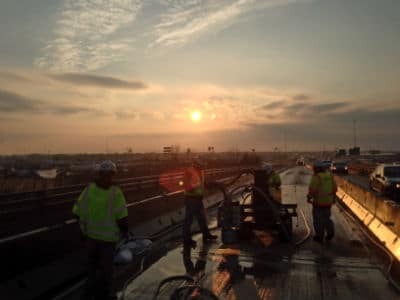 The general contractor, Lead Engineering, was looking for a solution to speed up the process of removing the bridge decks from several bridges on Interstate 95. The original process included manual chipping on top of each bridge girder then cut the deck rebar away from the girder steel reinforcing without damaging it. This proved to be a labor intensive and difficult process. Lead Engineering project managers contacted MMW to find a better solution. 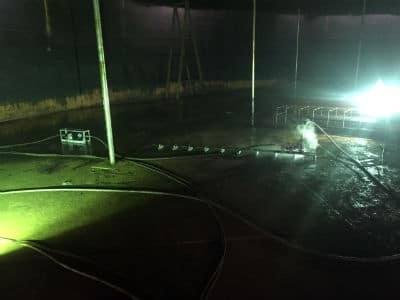 MMW was able to utilize robotic hydro demolition to remove a specific depth of concrete (8.5”) and expose the deck rebar directly above each girder. A minimum of deck concrete (1 inch or less) was intentionally left in place above the girders to be removed by lightweight chipping tools. 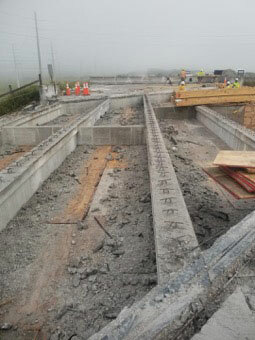 After the deck was free from the girders they were removed in large sections using a crane. 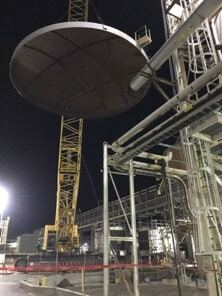 The process proved to be significantly faster than the original manual method and Lead Engineering was able to finish the bridge work ahead of schedule.